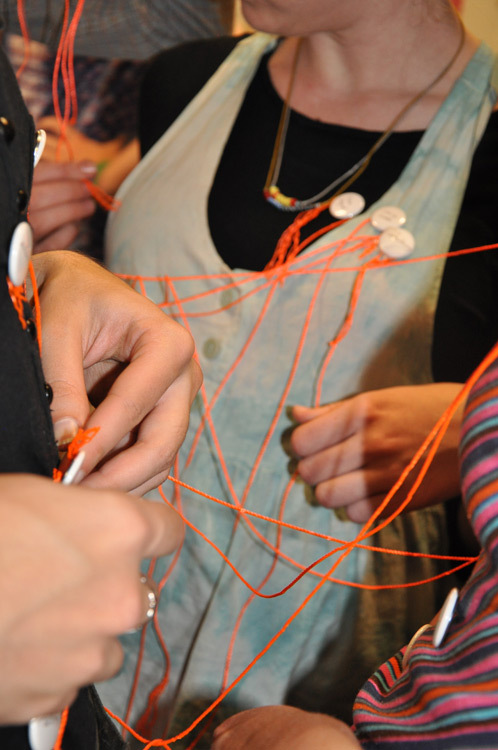 Hannah Jickling, Helen Reed and Stephanie Springgay presented a series of papers and a workshop at the Open Engagement conference in May 2012. 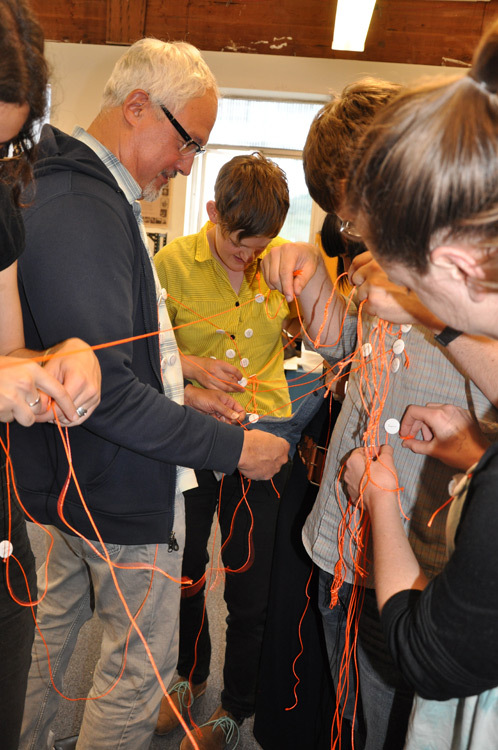 The workshop focused on linking curriculum theory to social practice. 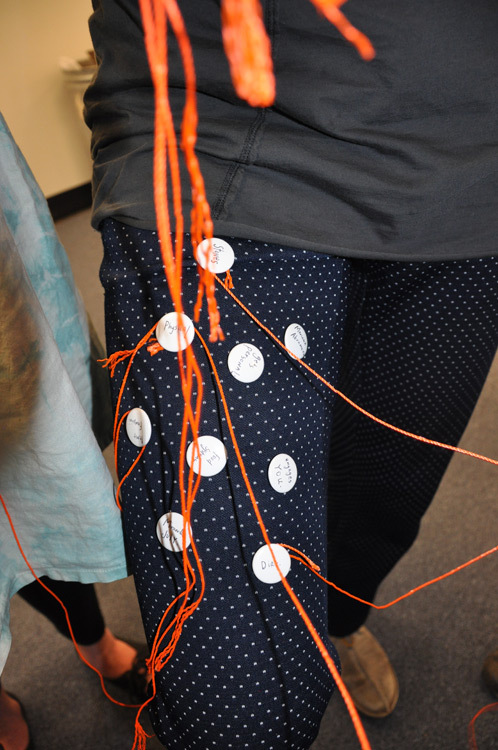 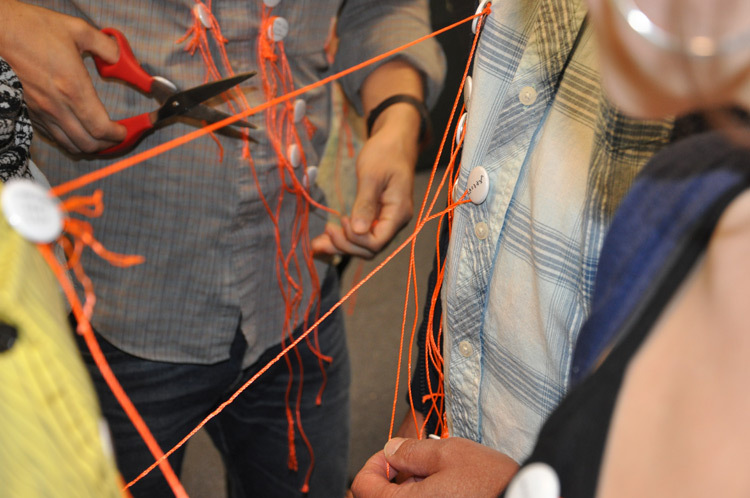 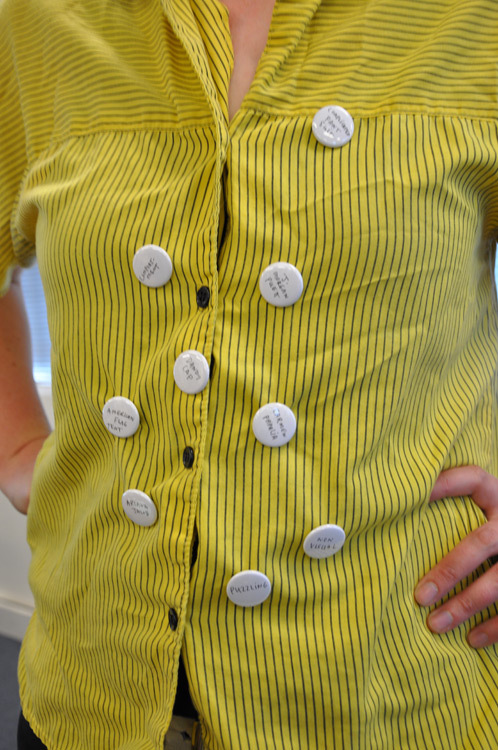 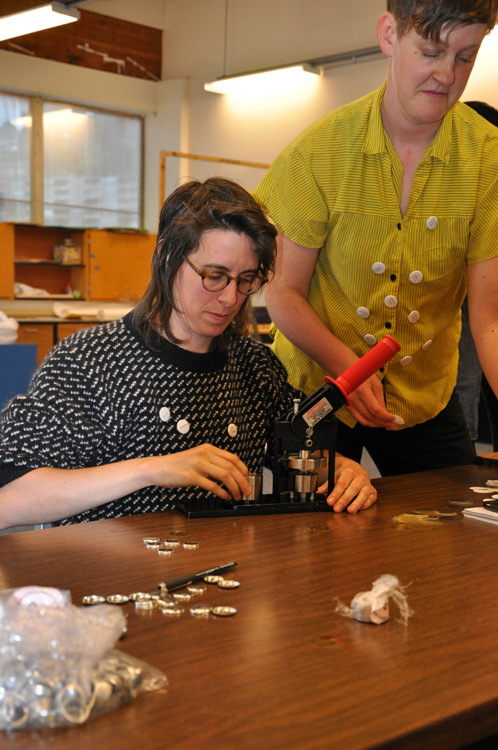 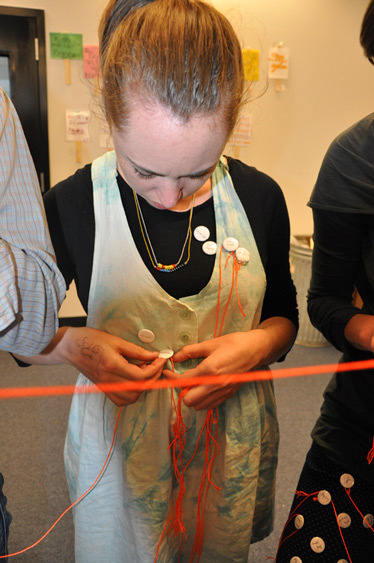 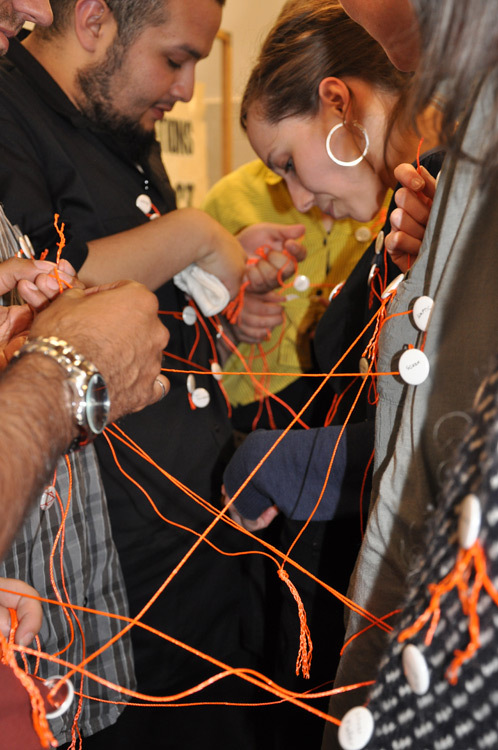 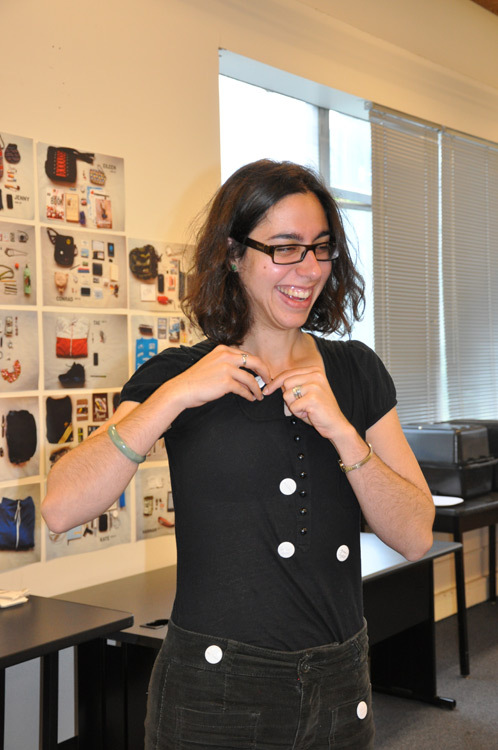 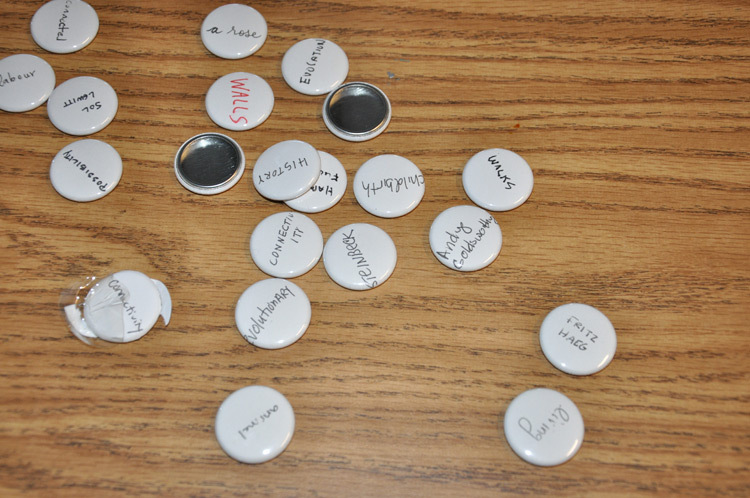 Using four curricular themes: embodiment, ecology, hospitality, and solidarity, participants were prompted to create a series of buttons which were later used to generate a network of ideas across disciplines and conceptual frameworks.